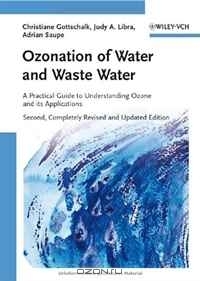 Описание: The leading resource on ozone technology, this book contains everything from chemical basics to technical and economic concerns. The text has been updated to include the latest developments in water treatment and industrial processes. Following an introduction, the first part looks at toxicology, reaction mechanisms and full-scale applications, while Part B covers experimental design, equipment and analytical methods, mass transfer, reaction kinetics and the application of ozone in combined processes.